Remember The Sun Can’t Compare? Course you do. Well, Larry Heard gets it damn right with Mr White again, curling up the Afro-cubist electro-house hustle of Virtual Emotion, and the slunky darkroom cruise of Supernova. 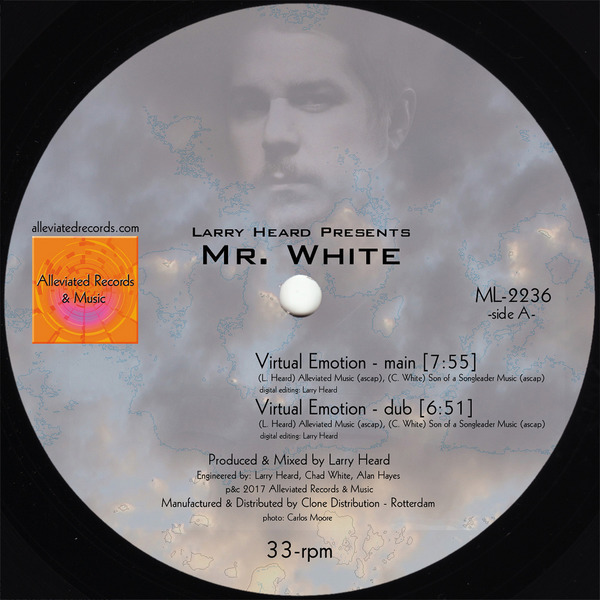 On Virtual Emotion he comes buoys Mr White on a burning bass tug and pensile woodblock claves holding the lip-biting sensuality with masterful skill, also available in a starry-eyed dub. Supernova is more blunt about it; with Mr. White riding a cantering monotone bass and hoofed percussion in protein-guzzled, processed vox, likewise included as a dub to expose the groove’s gritty depth.